Ronnie Radke, singer for Epitaph-signed party metal outfit Falling in Reverse, has reportedly been arrested on an outstanding warrant over an alleged domestic abuse charge. The vocalist was picked up by the police at his Glendale, CA home on Monday (August 6). A report from the Glendale News-Press [via Punknews] explains that the Los Angeles County's district attorney's office had issued the warrant after Radke's girlfriend told Glendale police that she had been assaulted by the singer at their shared home on May 1. Radke was brought in by officials but was released on $30,000 bail. He has since been charged with a misdemeanour count of corporal injury to his girlfriend and misdemeanour false imprisonment, according to the report. He's expected to appear at Los Angeles County Superior Court for a pre-trial hearing on August 14. Despite the report from Glendale News-Press, Radke has yet to make an official statement over the charges, and cryptically tweeted yesterday (August 8), "Attention fans: don't believe everything you read on the internet!!! Jesus!!! Hahahaha." 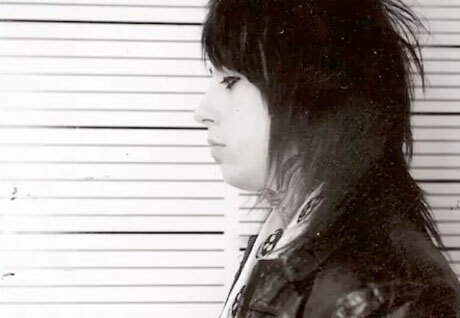 Radke has previously been in trouble with the law. He had been sent to prison following a probation violation on a battery conviction tied to the 2006 murder of Nevada teen Michael Cook. Radke was released from prison in late 2010, and used the experience to tease Falling in Reverse's 2011 debut The Drug in Me Is You. Falling in Reverse Unveil 'Coming Home,' Share "Loser"
Falling in Reverse "God, If You Are Above..."